The thing about writing SFR is that we are in a genre that is uncontainable. As writers, we can traverse time and space. We can zip through any universe our hearts and minds dream up. But whatever elements there are in it, the SFR story revolves around beings. Be they alien, dragon shifters, robot, or humanoids, all SFR has character at the heart of the story. 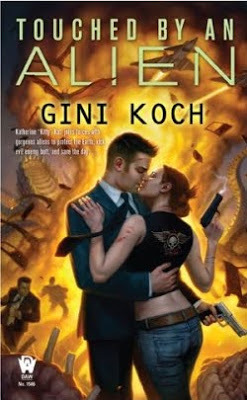 We can all name our favorite science fiction authors and favorite romance authors, but what happens if you smash them all together? The second article is by me. I’m guest blogging at Rotoscopers, a great animation news site. 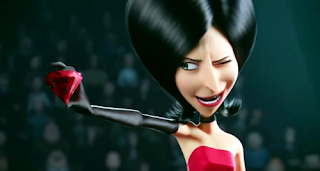 The topic: Illumination Entertainment, We Need To Talk About Scarlet Overkill. To grant a powerful, progressive female villain like Scarlet Overkill a starring role in a mainstream animated film with a valuable redemption arc—one that’s usually reserved for male characters—would require a huge shift in perspective from Illumination’s core, all-male team. I wager the concept is simply too innovative and daring for them. I will be eternally grateful for Scarlet and Herb Overkill, but ultimately, my message isn’t for Illumination Entertainment. It’s for other animation studios who are courageous enough to serve female audiences in all the ways they deserve.